Iraq says it cut output by 300,000 bpd in March, taking production down to an average of 4.464 million barrels per day (mb/d). That puts Iraq at about 98 percent compliance with the OPEC deal. But Iraq’s oil production could fall involuntarily if a dispute between the central government and the Kurdish Regional Government (KRG) continues to escalate. Some of the oil fields around Kirkuk, in northern Iraq, are controlled by the semi-autonomous region of Kurdistan, while others are controlled by the federal government of Iraq. Back in 2014, when ISIS burst onto the scene, territory was quickly swallowed up by the militant group. Amid the chaos, the Kurds swept in and seized parts of territory in and around Kirkuk as the Iraqi government appeared too weak to defend the city and its oil fields. While the bulk of Iraq’s oil is produced from the massive oil fields in the South near Basra, far from the violence of ISIS, Kirkuk is home to sizable oil fields in the country’s north. The Iraqi government and the Kurds have disputed the right to territory and sovereignty for years, and the Kurds took advantage of a moment of weakness in 2014 to expand their claims on Kirkuk. The Iraqi government’s hand was further weakened by the damage done to its main export pipeline to the Turkish port of Ceyhan, which had been subjected to sabotage the year before. Kurdistan decided to build its own pipeline through Turkey for export in order to bypass the Iraqi government, a project that came online in 2014. A few years on from the initial ISIS blitz and the subsequent seizure of territory by the Kurds, a deal was struck between Baghdad and the Kurdish government on exporting oil. The Iraqi state-owned Northern Oil Company would ship oil through the Kurdish-operated pipeline and pay the Kurds a fee for the service. 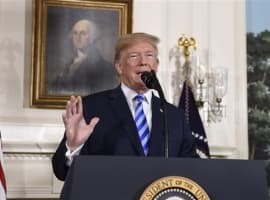 The move benefited both sides at the time, allowing more of the country’s oil to be exported than otherwise would be without the deal. Related: Are Mexico’s Oil Reserves Almost Depleted? But with the strength of ISIS on the wane, the political battle for control of Kirkuk is heating back up. The Iraqi government never recognized Kurdish control of Kirkuk and is now pushing back. At the same time, competing factions within Kurdistan are fighting for control. “As Islamic State becomes less of a pressing threat, a lot of these tensions that had been subsumed into the common fight are inevitably going to come back to the surface,” Richard Mallinson, an analyst at consultant Energy Aspects Ltd., told Bloomberg. The Kurdish-controlled oil fields are producing around 350,000 bpd and the oil fields from the state-owned Northern Oil Co. are producing about 150,000 bpd. The combined 0.5 mb/d is only half of the region’s capacity. But output could fall further if the deal between the Kurds and the Iraqi government falters. In March, one Kurdish faction raided a pumping facility controlled by the Northern Oil Company, demanding that Baghdad live up to an agreement to invest in local energy projects and share revenue. 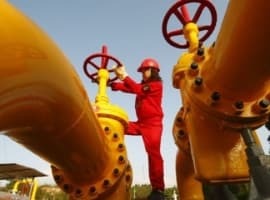 The fight could immediately knock some 100,000 bpd offline if the export deal falls apart, which would reduce the volume of oil sent north to Turkey. But the impact could also deter investment in much of Kurdistan more generally if Baghdad and the Kurdish government revive their battle over sovereignty. In March, Fitch upgraded Iraq’s credit rating, a positive signal even though its rating is still wallowing in junk territory. 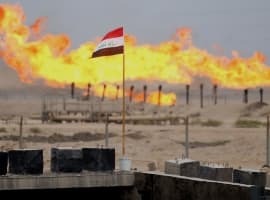 Although the country is still rife with instability, the improved outlook could signal greater interest from international investors, including for some of Iraq’s oil fields. "Some analysts say that investors believe that with solid oil reserves and other sectors to build upon, Iraq could have serious growth potential," Stephen Simonis Sr., chief currency consultant at online currency broker FXDD Global, told CNBC. "Clearly this can be looked at from either side, as the willing investor will point out the huge risk/reward possibility as the upside is very enticing," Simonis added. "The doubting investor will say the region remains too unstable and the situation remains far too volatile." Related: Is Natural Gas In The Midst Of A Boom-Bust Cycle? It is difficult to overlook the risk in Kurdistan these days. On top of the political mess, the allure of the oil reserves in Iraq’s north took a hit recently when Genel Energy, a company chaired by former BP CEO Tony Hayward, downgraded its oil reserve estimate in Kurdistan. Genel Energy is one of a handful of international companies that have invested heavily in Kurdistan, but the company has repeatedly revised its oil reserves downward. In March, after Genel slashed its estimated remaining reserves at its Taq Taq field by over 65 percent, the company’s stock sank by more than 20 percent in one day. Genel’s market capitalization has cratered to just £200 million, down from over £3 billion less than three years ago. The problems for Genel are not just worrying for the company’s shareholders – they are indicative of the disappointment regarding the potential of Kurdish oil, which is not turning out to be the prolific producer that everyone thought it would be by this time. Without an enormous upside, Iraq will have to turn to its southern oil fields if it wants to ramp up production to over 5 million barrels per day this year.